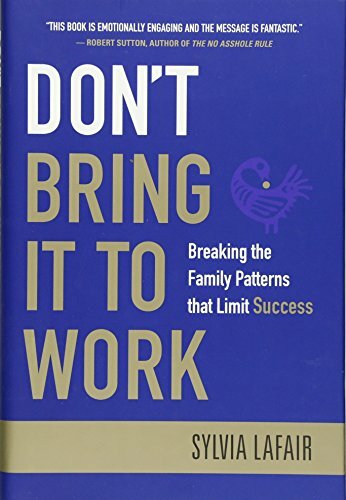 Don't Bring It to Work explores what happens when patterns originally created to cope with family conflicts are unleashed in the workplace. ?This groundbreaking book draws on the success of Sylvia Lafair's PatternAware program Total Leadership Connections. Throughout the book she shows how to break the cycle of pattern repetition and offers the tools that can turn unhealthy family baggage into creative energy that will foster better workplace associations and career success.